Dr. Jian-Xun Wang received his bachelor degree in Naval Architecture and Ocean Engineering from Harbin Institute of Technology in 2011. He completed his master’s program in Mechanical Engineering in 2013 from the same university. He joined the graduate program in the Department of Aerospace and Ocean Engineering at Virginia Tech in 2013, and received a master degree in Ocean Engineering and a Ph.D. degree in Aerospace Engineering in 2016 and 2017, respectively. Subsequently, he conducted postdoctoral research at the University of California, Berkeley. He joined the College of Engineering as a tenure-track assistant professor at the University of Notre Dame in 2018. 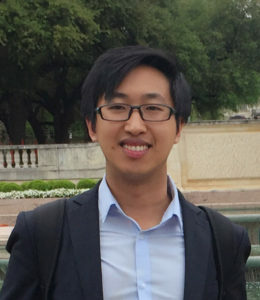 Dr. Wang’s current research focuses on data-enabled, physics-based computational modeling for a number of physical systems, including turbulent flows, cardiovascular/cerebrovascular flows, intracranial system, and other computational-mechanics problems. The main idea is to develop accurate physics-based computational models by leveraging available data from high-fidelity simulations, experiments, and clinical measurements using advanced data assimilation and machine learning techniques. Moreover, he is also interested in quantifying and reducing uncertainties associated with the developed computational models.